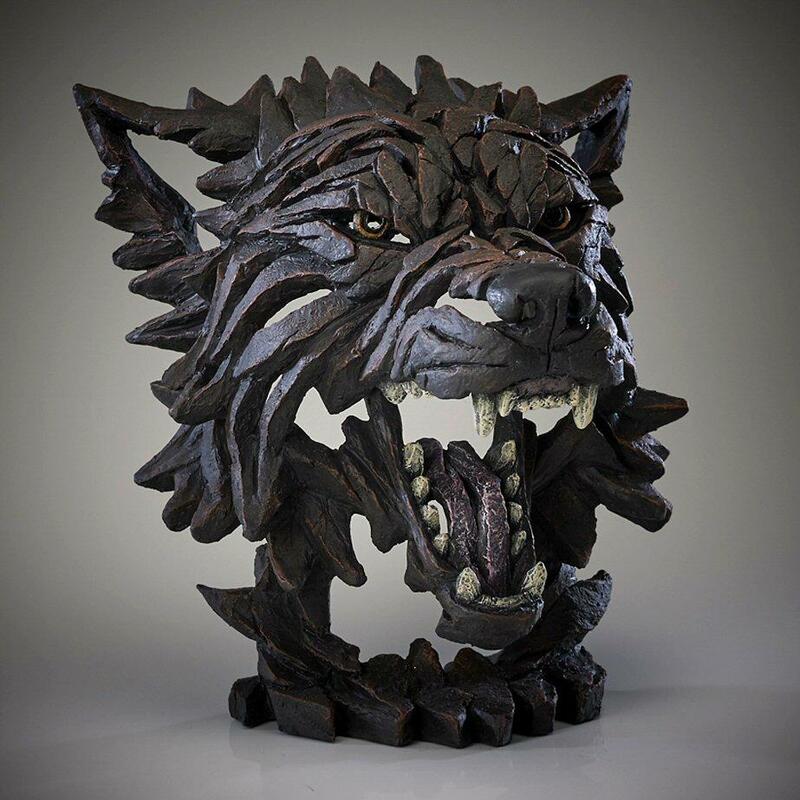 Wolf bust sculpture by Matt Buckley from the EDGE collection. The Grey Wolf, or Timber Wolf as it is also know, is native to remote areas of North America and Eurasia. Wolves are skilled pack hunters, often bringing down large animals like elk and bison. There are revered in some cultures but feared in many more. Wolves are commonly found in folklore and mythology, generally being associated with danger - Little Red Riding Hood being one of the most well known tales. The werewolf, a supernatural half-man half-wolf creature, has its roots in folklore also but is now as much a part of popular culture as the vampire. Matt Buckley's striking sculpture pays tribute to this infamous predator. 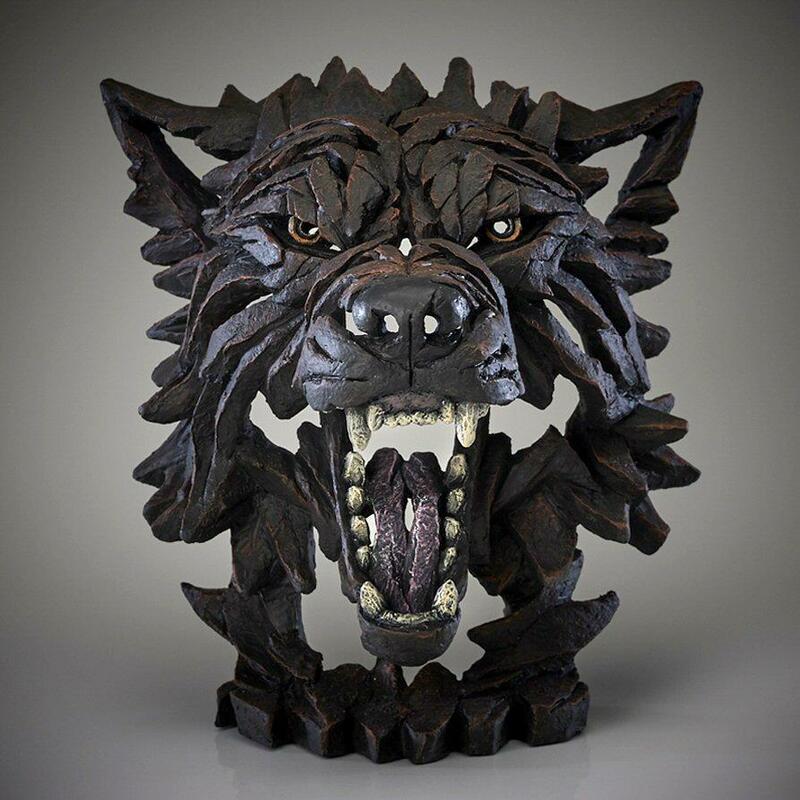 This sculpture is finished in black - 'Fenrir' refering to a particularly fearsome wolf from Norse mythology. There is also a version in grey and brown tones - WOLF BUST EDB04 and one in grey with colour accents - WOLF BUST GREY EDB04R.